Phase II of County Line Road improvements are underway! Expect one lane closure in each direction of County Line Road (eastbound/westbound), as well as the closure of one lane of the off ramp to County Line from SB I-25. There will also be night time closures of Park Meadows Center Drive at County Line Road and the I-25 SB on Ramp from 10 p.m. to 6 a.m.
Yosemite Street from Maximus Drive to County Line Road will have lane closures in both directions from 6 p.m. to 6 a.m. on Sunday nights, and 8 p.m. to 6 a.m. Monday through Friday nights for resurfacing. Work will continue through the end of June. There will be intermittent one lane closures adjacent to the Yosemite Median just south of C-470 from 8:30 a.m. to 3:30 p.m. through July. 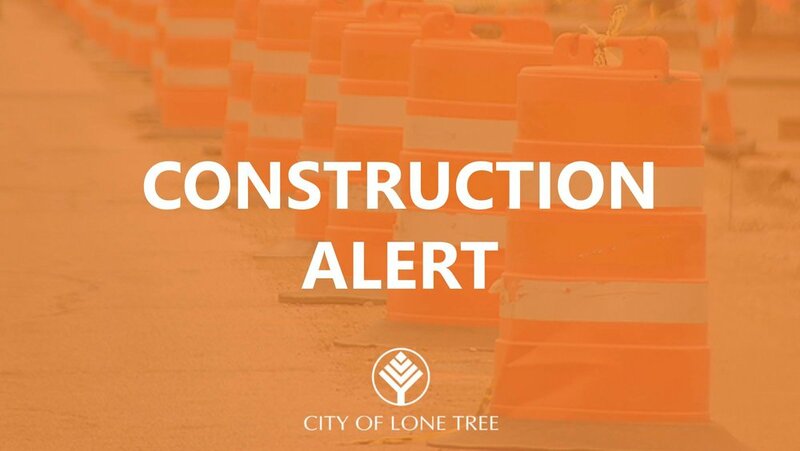 Yosemite Street from Park Meadows Drive to Park Meadows Center Drive AND Acres Green Drive from Park Meadows Drive to Parkway Drive will have lane closures from 8:30 a.m. to 3:30 p.m. and 9 p.m. to 6 am (weekdays and weekends). Trainstation Circle next to Sky Ridge Avenue will be closed until end of June to install the rail line across Trainstation Circle.